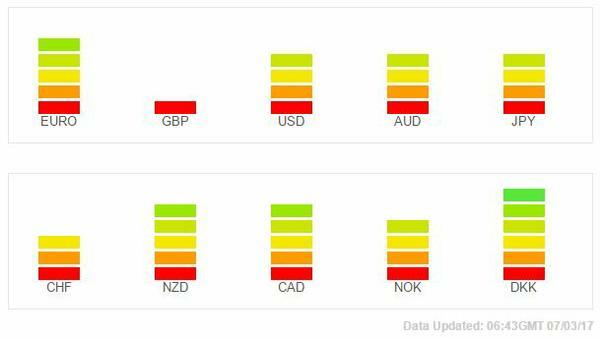 Below is the latest sentiment as compiled by etoro, the world's largest (social) trading network. It provides a view of what individual investors think about the specific instruments and gives a view of the current sentiment. Trade with the Trend! Join today by clicking below and know which way to trade by accessing our market directional signal! Past performance is not indicative of future results. Trading stocks, options, forex, CFDs and equites carries a high level of risk, and may not be suitable for all investors. The high degree of leverage can work against you as well as for you. Before deciding to trade any such leveraged products you should carefully consider your investment objectives, level of experience, and risk appetite. The possibility exists that you could sustain a loss of some or all of your initial investment and therefore you should not invest money that you cannot afford to lose. You should be aware of all the risks associated with trading on margin, and seek advice from an independent financial advisor if you have any doubts. The information provided by Edvesting.com should not be relied upon as a substitute for extensive independent research which should be performed before making your investment decisions. Edvesting.com are merely providing this information for your general information. The information and opinions presented do not take into account any particular individual's investment objectives, financial situation, or needs. All investors should obtain advice based on their unique situation before making any investment decision and should tailor the trade size and leverage of their trading to their personal risk appetite. Edvesting.com and/or its owners will not be responsible for any losses incurred on investments made by readers and clients as a result of any information contained on Edvesting.com. Edvesting.com does not render investment, legal, accounting, tax, or other professional advice. If investment, legal, tax, or other expert assistance is required, the services of a competent professional should be sought.